Modifier PDF is a Windows PDF editing software product that lets you modify and edit PDF documents like adding text, insert images, removing unwanted content, drawing lines and rotating PDF pages. If you write text on the PDF, you can change the text font, size, color and move it to anywhere you want on the page. After inserting an image into PDF, you can resize the image and move it also. If you find some words or images need to be removed, simply use the eraser tool to erase. Better than other PDF Reader applications, Modifier PDF can permanently save the edited PDF content changes in PDF. You can write text and move it to any place on the PDF page. 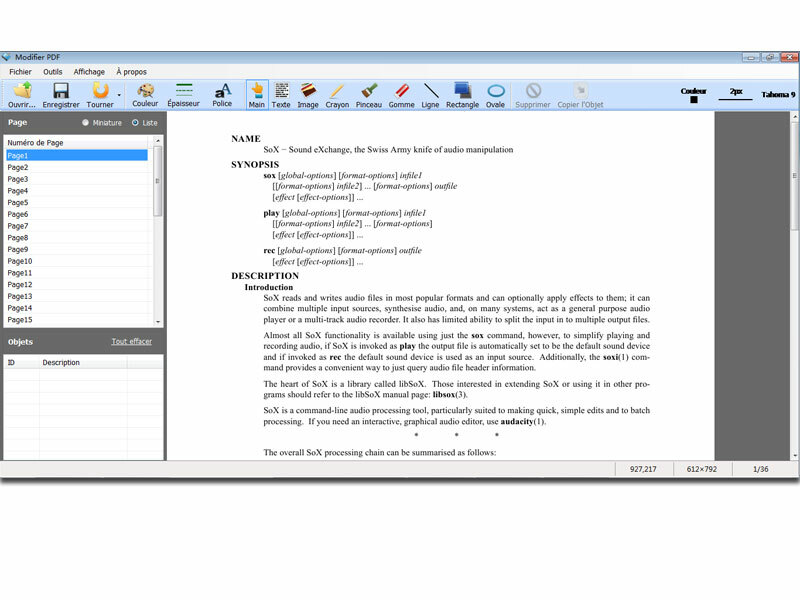 Win PDF Editor allows you to set the text font, size and color. With Modifier PDF you can easily fill out the PDF forms now. There is an Eraser tool in Modifier PDF, and you can use it to remove any unwanted text or graphics like erasing. You can also change the line weight to make the eraser bigger or smaller. You can add images to the PDF and resize them. Modifier PDF supports most popular image formats like JPG, PNG, GIF, BMP and TIF etc. It also keeps the image original transparent. You can add your signature image to the PDF document and easy to sign now. Modifier PDF can save the edited content permanently into the original PDF document, and also allows you to save the content to a new PDF file.